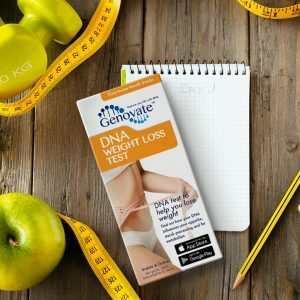 Home Health Metabolic Health Did you know DNA can affect your response to global warming? Ice caps, polar bears, honeybees, forest fires, floods and hurricanes. These are the many faces of climate change. We know that global warming means we have deal with changes in the environment, like extreme weather or the rising sea levels. But what about the effects of greenhouse gases on one of our major food sources, the plants? 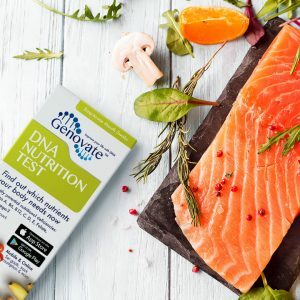 Some call it “the great nutrient collapse,” others “a hidden shift in the plant ionome” Either way the nutritional status of our plants are changing, and perhaps along with it so is our metabolic health. For example, zinc is a mineral needed for the proper production of insulin, which is responsible for controlling our blood sugar. Zinc is one of those essential nutrients that people can’t make, so it has to be obtained either in our food or as a supplement. Could it be that reduced zinc levels in our food are partly responsible for the rising rates of type 2 diabetes? 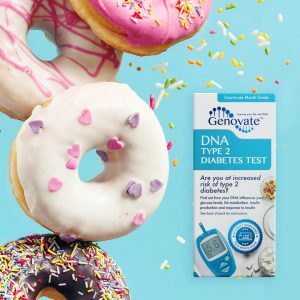 Interestingly, scientists have known that zinc levels and type 2 diabetes are interconnected for as long as they have been using insulin to treat diabetes. Studies dating as far back as 1938 observed lower zinc levels in the pancreas of people with diabetes. But our dietary zinc intake wasn’t tied to type 2 diabetes until the rs13266634 DNA change in the SLC30A8 gene was found to influence our risk of type 2 diabetes. The SLC30A8 gene encodes a zinc transporter, ZnT8, which is primarily responsible for moving zinc into the pancreas. The rs13266634 version of SLC30A8 increases the risk of type 2 diabetes by 14%. Not only that, non-diabetic children with rs13266634 release 20% less insulin into their blood, when their sugar levels are high. Studies show that the zinc levels and type 2 diabetes risk are inversely correlated, which means a higher concentration of zinc in the blood has a protective affect. This offers an excellent preventative option for people who inherit the rs13266634 risk variant. A small increase in zinc intake can reduce type 2 diabetes risk by 7% if you have two copies of rs13266634, and by 17% for if you inherit just one copy of rs13266634. So, how exactly does global warming increase our risk of type 2 diabetes? Global warming, the gradual (or perhaps not so gradual) rise in the temperature of the earth’s atmosphere, is the result of increased greenhouse gases. Greenhouse gases are responsible for trapping the infrared radiation from the sun, which warms the earth so there can be life. Carbon dioxide (CO2) is one of these greenhouse gases, and it’s recycled from our atmosphere by plants. Plants absorb CO2 from the atmosphere by converting it into sugars that we eat. However, in the past 300 years, human activities have dramatically increased CO2 output. Plants appear to have responded by increasing their biomass (producing more carbohydrates) to match it. But the problem is, this increase in biomass might be coming at the expense of other nutrients such as zinc and iron. For example, wheat grown at elevated CO2 had 9.3% lower zinc and 5.1% lower iron levels. Zinc is one of the major micronutrient deficiencies around the world, and global warming appears to be augmenting this problem. Scientists are actively trying to bring awareness to just how much of an impact rising greenhouse gases have on human health. And we already know that our genes influence our specific zinc needs. Perhaps it’s time to utilize the amazing DNA analysis technological advances to tailor our nutritional intakes to match our genomes. Previous articleDid you know two House of Bourbon relics are not actually authentic? 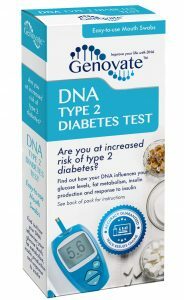 Next articleDid you know DNA influences your risk of diabetes?